Winter in Colorado is strange. It will be 70 degrees and sunny one week and the next it will be 16 and snowing. Maybe the crazy weather is just a Denver phenomenon, but when I had the chance to jet off to Florida to visit a friend I jumped at the chance. Salt water, sand, and warm sun? Yes please! When I was there my dingbat friend wasn’t so great at breakfast. Fruit and greens in a smoothie with a bit of Maca chucked in, tasty but not exactly the best fuel for a very large athlete. So I let him into the dessert for breakfast secret: chia pudding. With three grams of protein per tablespoon, chia gives you lasting energy with the same great taste of fruity perfection. Plus, I happen to go chia-heavy in my pudding recipes, 8 tablespoons for 24 grams of protein? Not a bad way to start off the day! 1. All ingredients should be separated into two parts. I prefer to make my breakfasts in mason jars so that they are portable, but the jars are also great for shaking! 2. Finely chop the pineapple, and add half to each jar. 3. Remove the pith (white skin) from the grapefruit and tear into small pieces. 4. 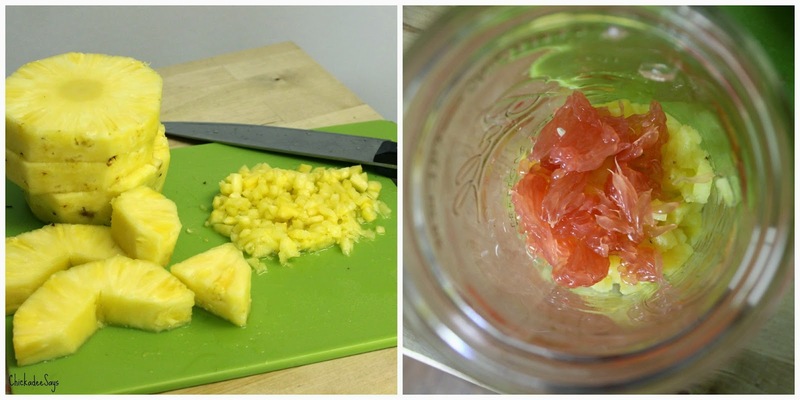 Add half the pineapple and half the grapefruit to each mason jar. 5. Top the fruit in each jar with a teaspoon of mint and a quarter teaspoon of ginger. 6. 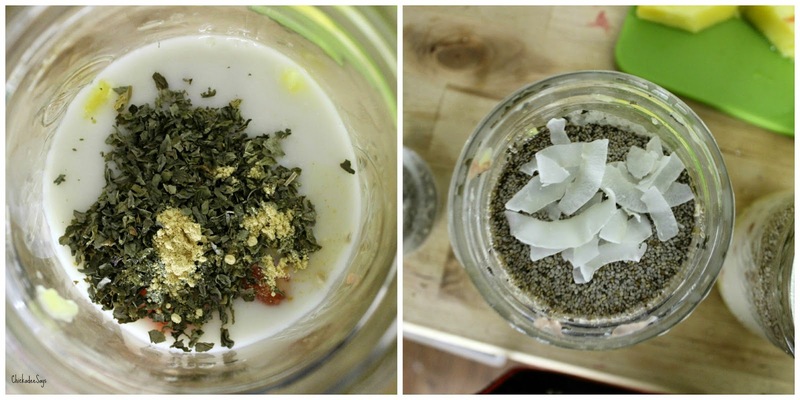 Add half of the almond milk and half of the coconut flakes to each jar, screw on the lids and shake well. 7. 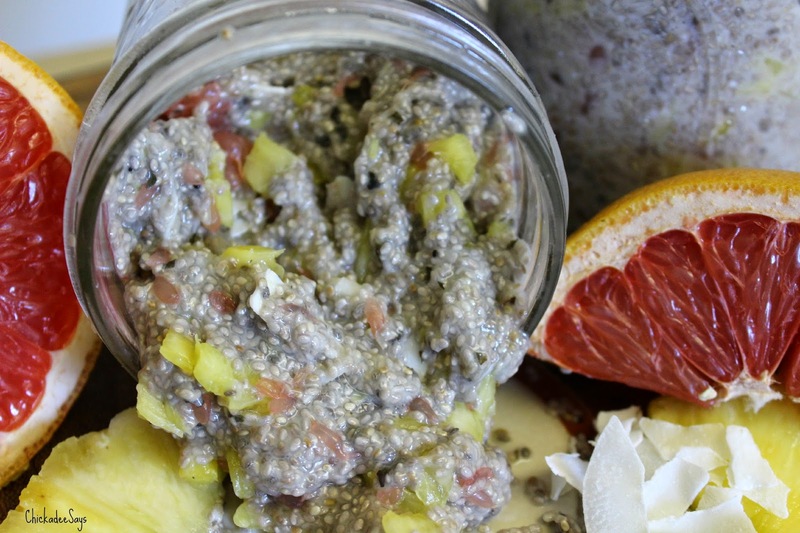 Finally, add half a cup (8 tablespoons) of chia seeds to each jar, shake well, and pop in the refrigerator overnight. 8. The milk will be absorbed by the chia seeds and the whole meal with have a pudding-like consistency! 9. Enjoy chilled, topped with extra fruit if you see fit! 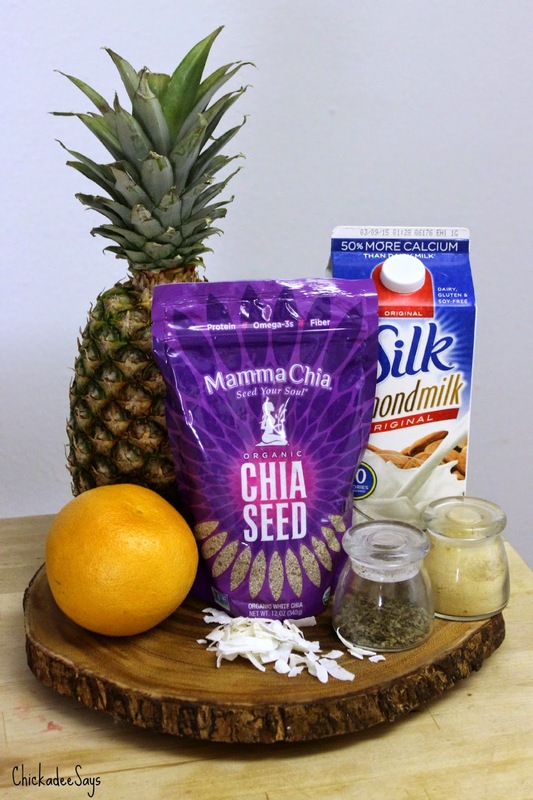 Chia seed pudding is super easy to make and you can always substitute for your favorite in-season ingredients! Want more chia pudding recipes? Check out my Pumpkin Pie and Strawberry-Vanilla concoctions as well! 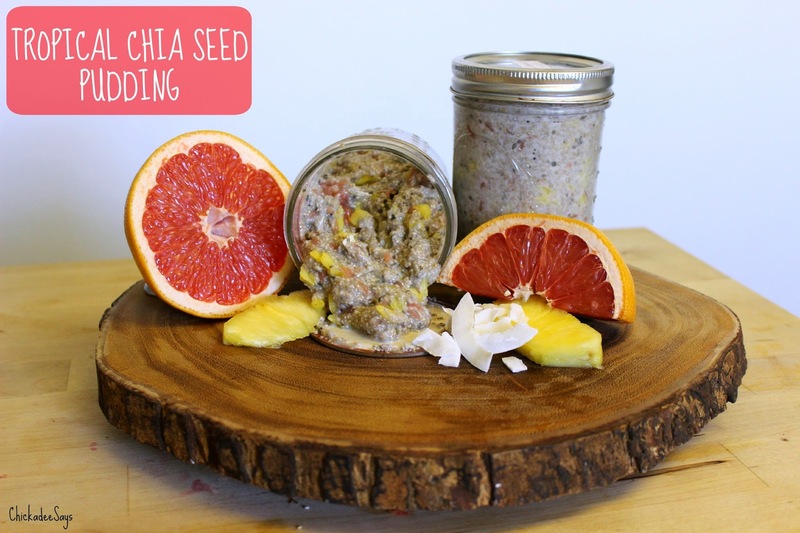 I’d love to see your favorite recipes, let me know what you add to your chia in the comments below!